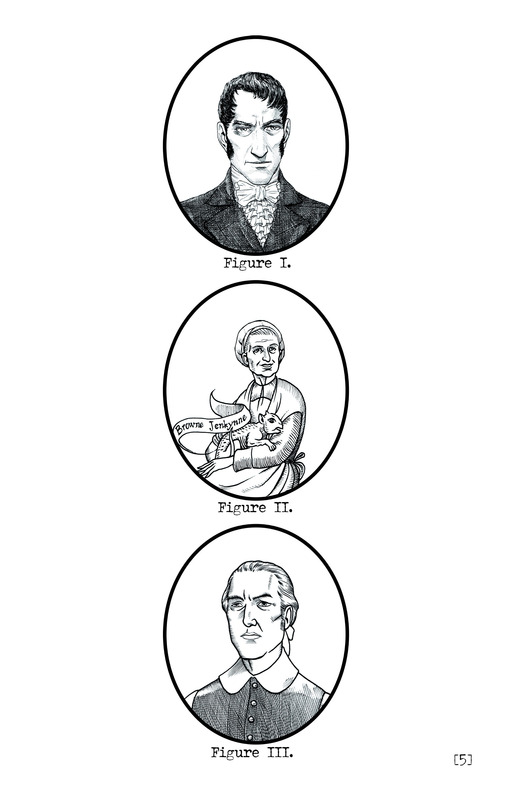 The Multitudinous Mister Black: My Poor Reading of Providence (Hopefully) Redeemed – Dork Forty! …has been kind of a vexing title for me. My reading of it has been a comedy of errors, from my underestimation of it in its earlier issues, to my many wrong ideas about where the story might be going, to (perhaps most embarrassingly) my mistaken belief that it was ending with issue ten. Well, now it really is ending, with the TWELFTH issue, which is due out this week. In preparation for that ending, I re-read the whole series recently, and as with most of Moore’s work, it very much rewards a second look. This one rewards it so much, in fact, that I had some trouble putting it all into words. Or non-spoilery words, at any rate. I had the opportunity to talk about the series with my friends at the Too Much Scrolling podcast after that re-read, and only got through it with their helpful guidance (and some wonderful sound editing). The trouble wasn’t that I didn’t have anything to say. It’s that I had far too much to say, and much of it would completely spoil the book for anyone who hasn’t read it yet. If you’d like to hear that non-spoilery discussion, you can check it out by clicking on this very sentence. If you’re sticking around here, though, a word of warning: everything past this point is going to be ALL-SPOILER, ALL THE TIME. So if you’re not caught up to the latest issue… flee from this burning light into the peace and safety of that new dark age all the kids are talking about these days. Serious Sanity Loss awaits! But let’s begin at the beginning. I’ve long held that half the thrill of reading Providence is the gradual revelation of the plot. It starts off being about one thing (someone wanting to write about the outsider experience in America), but slowly, dreadfully, you come to realize that it’s about something else entirely (the apocalypse). Except that’s not entirely true. Upon re-reading, I found that Moore lays out everything you need to know in the first two issues. Everything else is embellishment. There are still horrific scenes and dreadful revelations, of course. 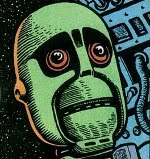 The Thrill-Power of it all (Praise Tharg!). But those first two issues serve as Moore’s thesis statement, and if you’re paying attention, you know what the book’s really going to be about from the outset. Those issues introduce us to Robert Black, our protagonist, a gay Jew who’s closeted about both those things to all but his closest friends. …but no. It’s all but said outright in these first two issues, and I either missed it or forgot about it. I’m betting I missed it, though. I was mostly surface reading when these earliest issues came out, and I’m sure I failed to connect the dots properly. But we have Black’s parents speaking in light Yiddish slang in a flashback, there’s a passing reference to Black living a lie even about his faith, and then there’s an even more passing reference to his grandfather having been fascinated by the Kabbalah. It’s obvious going back to it now, but spread out over two issues published two or three months apart, I can see how I might not have put it together. But where was I? Ah, yes. The role Robert Black plays in things. Most obviously, Black is a stand-in for… Well, he’s a stand-in for a lot of things. 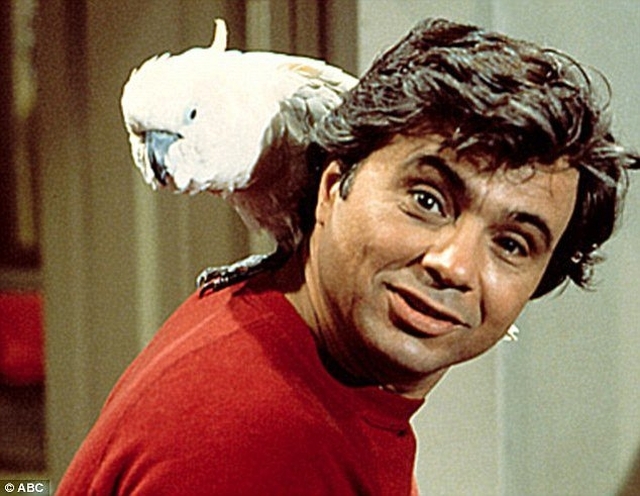 But most obviously, he’s a stand-in for Robert Blake. No! Not THAT Robert Blake! I mean Robert Blake from Lovecraft’s story “The Haunter of the Dark,” who was himself a stand-in for Lovecraft’s friend and fellow writer Robert Bloch (most famous as the author of Psycho). The Starry Wisdom cult, called the “Stella Sapiente” in Providence, is another thing I had believed to be slowly revealed, member by member, over the course of the series. But again, no. We get pretty much their whole backstory, and an outline of what they’re after, in the second issue. Hell, we even get pictures of the three primary members! Browne Jenkynne’s a dead giveaway! More importantly, though, we get the whole Herald/Redeemer prophesy they’re trying to bring about. We’re introduced to the idea that the world of dreams and the world of “reality” were once one contiguous thing, in much the same way that Einstein’s theory of Relativity treats time and space as one inseparable construct. In fact, that’s not a bad way to think about it: a sort of Fictional Relativity. The real world and the imaginary are inextricably connected, and at one time the monsters and fancies of our wildest imaginings crossed over freely into the waking world. This was the time of myth, I suppose, and folklore, and whatever else you might call it. But then something (science, maybe, or monotheism) changed all that. And now the imaginary is only accessible through dreams or, maybe, the workings of people who understand magic. 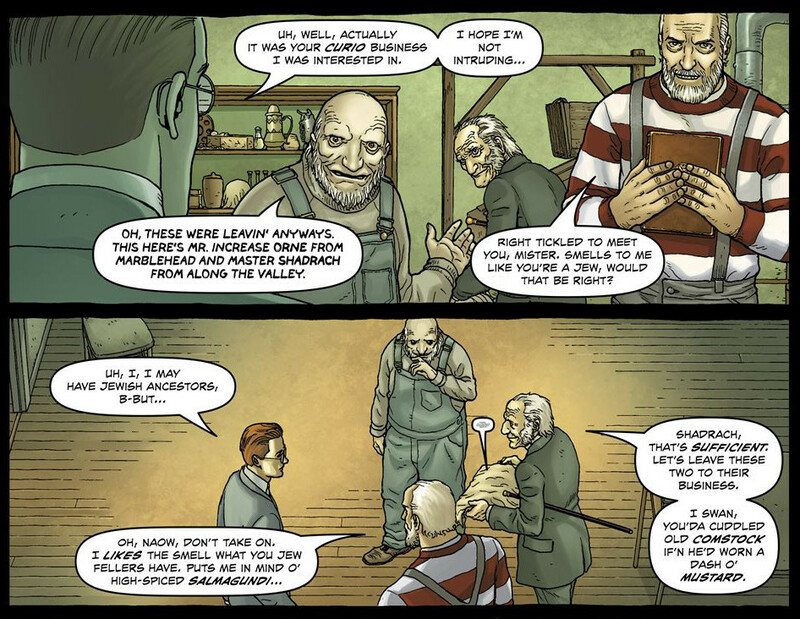 That’s Alan Moore’s definition of magic, in fact: the act of creation. Bringing something that didn’t exist into the world, and having it impact that world. So he and David Lloyd take an old, unfashionable Guy Fawkes mask and make it the symbol of freedom in a well-remembered comic. And then, 30 years later, after a very successful film adaptation, it’s gained sufficient cultural weight that a bunch of on-line anarchists adopt it as the face of their cause. 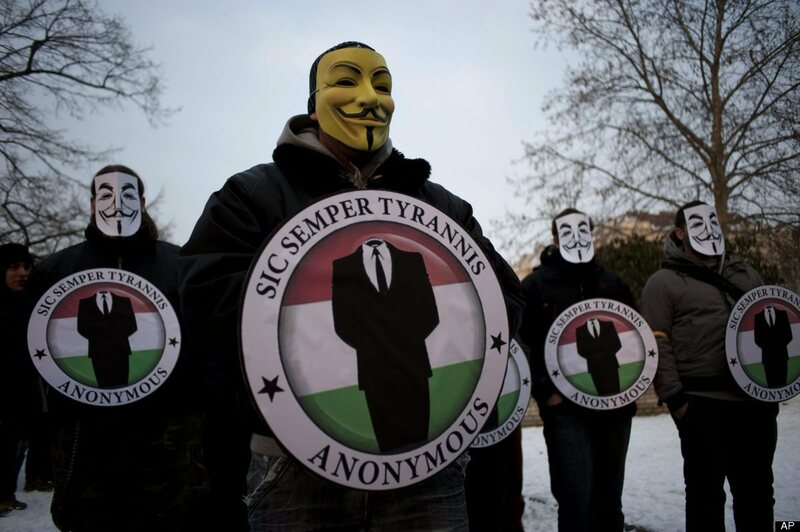 Even better, the real origins of Anonymous reveal it to be something of a fiction itself, a prank that’s grown far beyond the control of its originators into something they maybe never intended. But they’re anonymous, and terrifying, so who knows for sure? That very uncertainty makes them an even better example of the kind of thing Moore’s talking about, though. They’re a fiction inspired by an adaptation of a fiction that’s become something real. Anyway. We’re told in issue freaking two that the Stel Saps want to do that, in a big and decidedly more horrifying way. They’ve decided to fulfill a prophesy that will return the world to its previous, more dreamlike, state. That’s pretty much the throughline of the whole damn book, and it’s laid out plain as day, right at the beginning of the damn series. Y’know, I’ve spilled a lot of pixels over the course of this series lambasting Robert Black for being a bit dim, not putting together all the evidence that’s appeared before his very eyes, writing off as dreams and nervous hallucinations the horrors he gets exposed to as he meets the Stel Saps and their associates. And, you know… In the end, he’s kind of correct. They’re nightmares made real by people who know how to juke the system. Which makes me doubly dim. Because all of that is spelled out right there in issue two, and I didn’t put it together until I also had the proof of it appear before my very eyes. In my defense, the way it’s all introduced might be designed to make you put it aside. Okay, maybe not. But humor your weary old grandfather for a moment, will you? The Stel Saps are presented, on the one hand, as a dangerous group of diabolists, witches, warlocks, and werewolves, all. But on the other hand, they’re also made to seem a bit second-rate, a bunch of latter-day johnny-come-latelies basing several lifetimes of scheming on something they found in (if I’m remembering this right) a translation of a translation of a revision of an ancient Muslim grimoire (now, THERE’S a phrase you don’t often get to write!). …actually has rituals with the power to summon up Things From Beyond. Though not, notably, any rituals to put them back down again. So it’s kind of a sucker’s game, in occult circles. The kind of book no actual magician in their right mind (a relative term at the best of times, moreso in this case) would ever use. But one that might trap an enthusiastic amateur into doing something awfully stupid. So, yeah. You can see how something like that… even a fictional version of a fictional version of a translation of a translation of a revision… much like Anonymous… might be plenty useful to a group of evil wizards who want to break down the barriers between fantasy and reality. Hell, even I’M not entirely sure anymore if I’m talking about the world of Providence, or the world outside our own windows. Or both. Hurm. But, anyway. Back about 700 words ago, we were talking about how readers (Providence readers, that is) knew Robert Black was a stand-in for Robert Blake, who was a stand-in for Robert Bloch, and how the Starry Wisdom cult was the clincher in that connection. Black’s reasons for searching out the cult are a little different than Blake’s. Black is in search of a metaphor, an outsider community he can write openly about as code for the gay experience in America. So it’s not a (no pun intended) straight duplication of Lovecraft’s character. But he’s more than close enough. 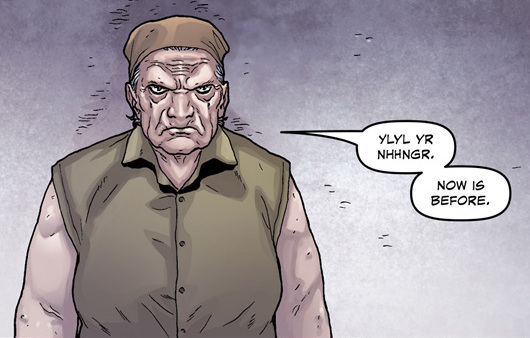 Blake/Bloch is an odd character to put at the beginning of the story, too. Bloch and Lovecraft didn’t become friends until fairly late in Lovecraft’s life, and “The Haunter of the Dark” is in fact the very last story Lovecraft ever wrote. So with Black, we’re sort of starting from the end. I suppose that should be a sign to the attentive reader that Black will be around for a while. Of course, Blake is also famously killed in that story (in joking retaliation for Bloch killing off Lovecraft in his own story, “The Shambler From the Stars”), so… Those same attentive readers had to be figuring that things weren’t going to end well for Our Hero (and they were right). 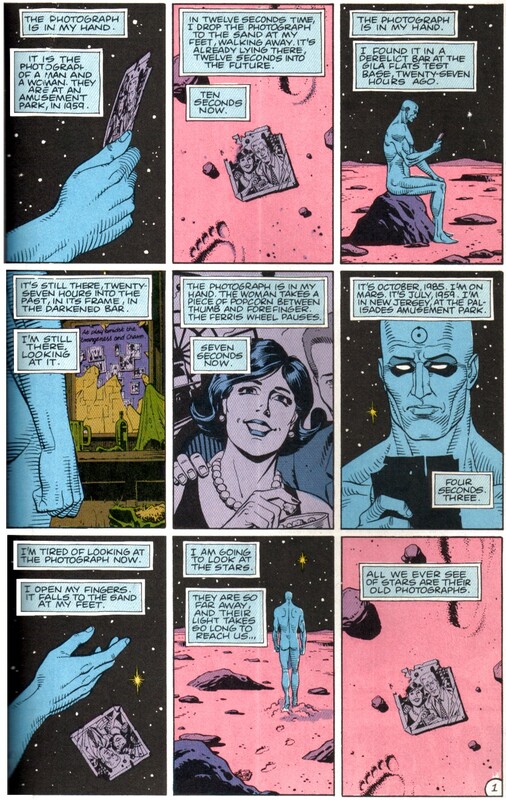 Starting from the end is also a pleasing choice in light of one of Alan Moore’s major themes: time is a solid. Everything that ever happened, and ever will happen, is always happening, simultaneously, forever. …and it derives not only from his study of magic, but also from physics. And physics is something Lovecraft was definitely fascinated by. Which brings us back to Relativity, and the idea that time and space are a single thing. Lovecraft was a contemporary of Einstein. Modern physics was born in his lifetime, and the implications of Relativity informed his view of the universe just as much as the Scopes Monkey Trial must have informed his fascination with the implications of evolution. To him, this new science meant that human beings are not the special creations of a loving god, but are in fact an accident of physics and biology, completely unimportant in the face of a vast, uncaring universe. All that was fresh and in the news in his time, and probably did seem truly terrifying. But now, 100 years on, we’ve had time to let all that sink in. Most people in the civilized world have come to grips with it. And while that was happening, Lovecraft’s star rose. More people know his name now than when he was alive. You can go into stores and buy cute stuffed animal replicas of his horrible monster-gods. 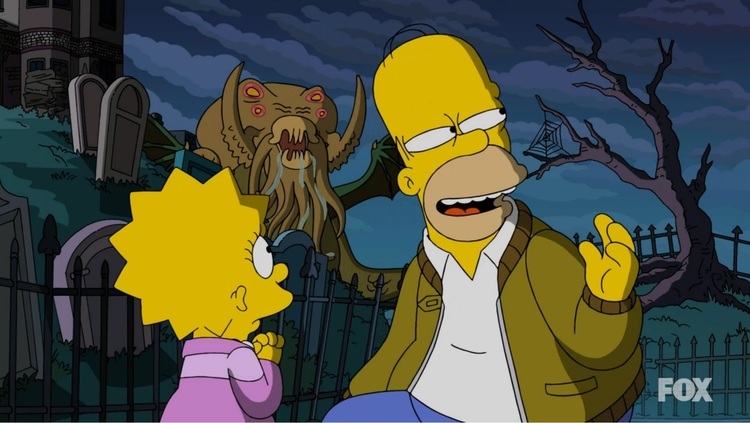 Cthulhu alone has appeared on cultural touchstones like South Park and The Simpsons. He’s a cultural phenomenon, and his world has become our own. But also, lest we forget, PHYSICS! 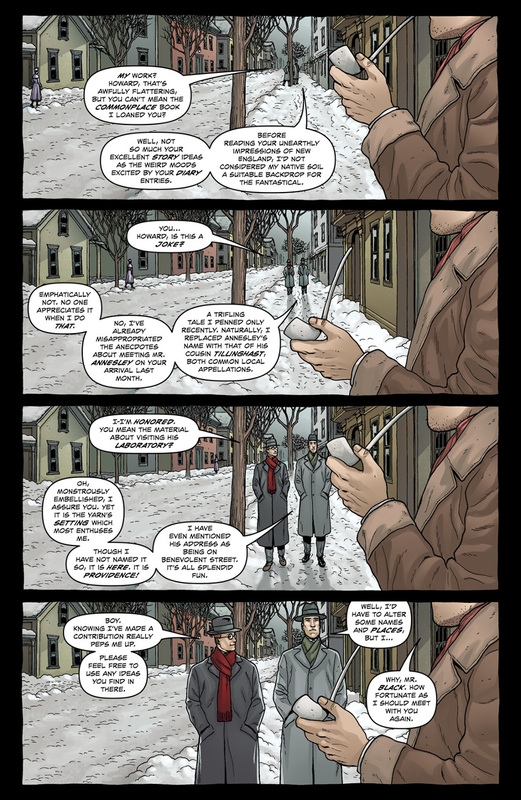 So beginning at the end and looping back around is apropos not just for an Alan Moore story, but also for Lovecraft himself. So starting with Bloch/Blake/Black is more than just appropriate for this story. It’s downright perfect. And yet, the Blake/Bloch connection is only the most surface thing about Mr. Black. Like all the other surface connections in Providence, it’s fun. You could have a jolly great time doing nothing but playing “spot the reference,” League of Extraordinary Gentlemen style, with this book, and it would still be a good read. But Black represents a lot more than that, and digging deeper opens up the kind of depth that makes me consider this one of Moore’s great works. As I said before, more than once, Black is both gay and Jewish, which is significant in a couple of different ways. In spite of being (rather famously) antisemitic, Lovecraft’s best friend during his years living in New York was the poet Samuel Loveman, who was also gay and Jewish. Loveman was an early literary mentor for Lovecraft, and in Providence, Black winds up being the inspiration for most of Lovecraft’s greatest work, coming into his life just before Lovecraft’s ill-fated move to New York from his beloved hometown of Providence, Rhode Island. But Black’s not just a stand-in for Loveman, I don’t think. Because Lovecraft’s wife, Sonia Green, was also Jewish, and they also met in New York. Like many people who harbor unthinking prejudice, Lovecraft hated Jews in general, but harbored nothing but good feelings toward the specific Jews he knew and loved. So Black serves as a living metaphor for the dichotomies that defined Lovecraft’s life in the years that, arguably, most shaped him as a writer. Because after his marriage dissolved, Lovecraft grew to hate New York. Granted, that wasn’t an entirely new sentiment for him. He found the city’s bustle and noise and (worst of all!) its many varied races and foreign cultures a near-constant source of agitation, and after Sonia left him, it became unbearable. Within a few months, he left the city and returned home to Providence, somewhat a broken man. He seems to have been inspired by the experience as well, however, because he spent the next several years writing virtually all of his best work. All the pain and fear of his experiences spilled out onto the page, and when he came out the other side… his attitudes having shifted, his prejudices calmed… his work petered out, slowing to a trickle before stopping completely. And Black represents all that inspiring pain. But at the same time, I’ve thought from the outset that Black was also a stand-in for Lovecraft himself. Both are intellectuals and literary nerds, and both tend to think themselves above the herd because of that intellectualism, harboring unspoken prejudices against those they think inferior to them. And then, of course, Black literally goes out and meets all the characters that Lovecraft would then go on to write about, having experienced them the way he experienced most things: by reading about them. Black is also, in some ways, Lovecraft in reverse. He fits in well in New York because he finds a place in the gay community, and keeps his Judaism a secret from everyone but his lover. Lovecraft, meanwhile, found New York infuriating because of all the immigrant communities it harbored, and kept his racism a secret from everyone but his wife. So, yes. Robert Black, as petty and shallow as he may seem at times, contains multitudes. Somewhere back at the beginning of all this, I was talking about how the final issue of Providence is due to be released this week. Which, you know, I hope is the case. I’d hate to be wrong about this book ending again, after all. (EDIT: WHICH, AGAIN, I WAS.) But it does beg the question: What’s going to happen in that final issue? Hell, man! I don’t know! I’m the dumbass who forgot that the bad guys were planning to over-write reality through the power of imagination! Pretty much every guess I’ve made about this book, in spite of my vast familiarity with its subject matter, has turned out dead wrong. 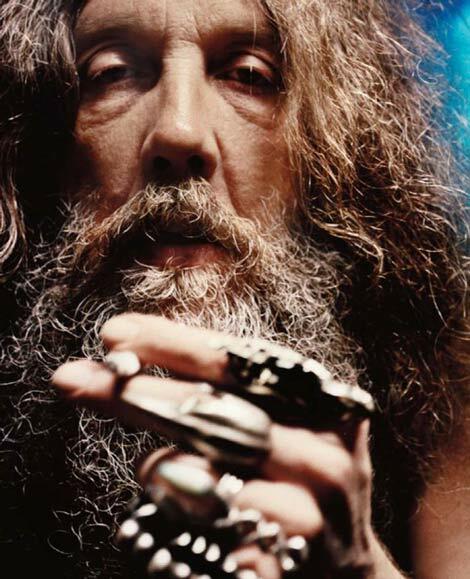 I am no longer in the business of trying to second-guess Alan Moore. But, you know… If I was still in that business… I’d guess that the apocalypse is going to happen. Cthulhu’s going to be born. The world as we know it will be upended. And all because a sheltered racist from Rhode Island decided a century ago to write some horror stories that played to the zeitgeist of the future.